Write It Up! is a full service advertising agency focusing on small to medium companies in need of strategic marketing and public relations planning, development and implementation. Often the term “full-service” is thrown around very loosely in reference to list of services for sale rather than a perspective. To us, full-service means we have the experience, the skill set, and use every tool in our arsenal to produce results. Whether you are looking for a nationally syndicated TV commercial/program or sponsorship of a single local Boy Scout Troop, getting your organization in front of your target audience and the community is our focus. Since 1994, Write It Up! has provided a wide variety of services tailored to fit each individual client. We believe our approach will enable your organization to cut costs while expanding your reach. If you have questions or concerns we’re here to help you figure out what’s right for your organization. Our first priority and number one marketing service is getting to know your business. We want to learn about your challenges and your successes. Together we can reach your marketing goals and celebrate your victories! 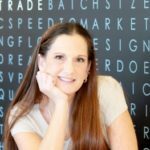 Dawn McLain is the Owner/President of Write It Up! based in St. George, UT. Dawn has been heavily involved in both print and television media over the past 27 years. As a respected professional she has led many educational programs on media relations to non-profit agencies and the business community. From advertising to public relations, planning is a crucial first step. We’re here to help walk you through it. We’ll help you through the process of development, continually perfecting your marketing strategy. Once everything is ready, we’ll launch your new marketing and you’ll get to watch your business grow. With more than 300 days of sunshine in Southern Utah, there are plenty of reasons to get out there and enjoy your day! 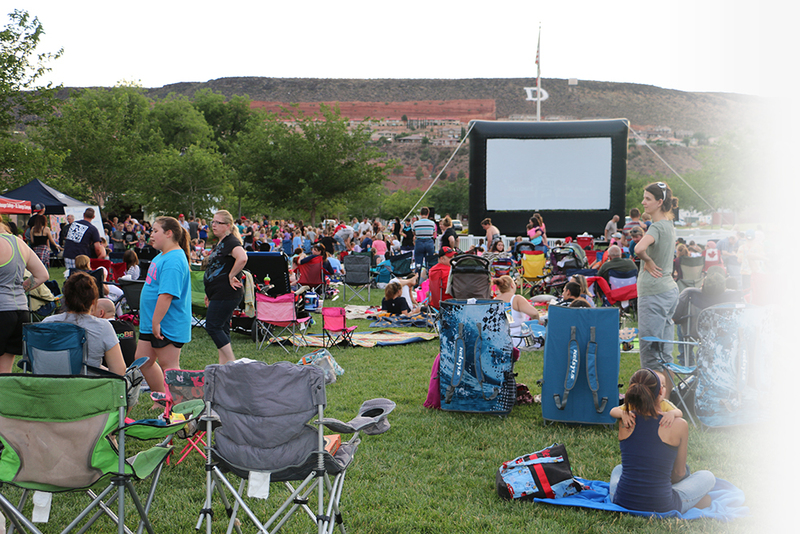 For 11 years now, there have been even more reasons to get out there and enjoy St. George under the stars too! Sunset on the Square has become a staple for locals during the summer months. 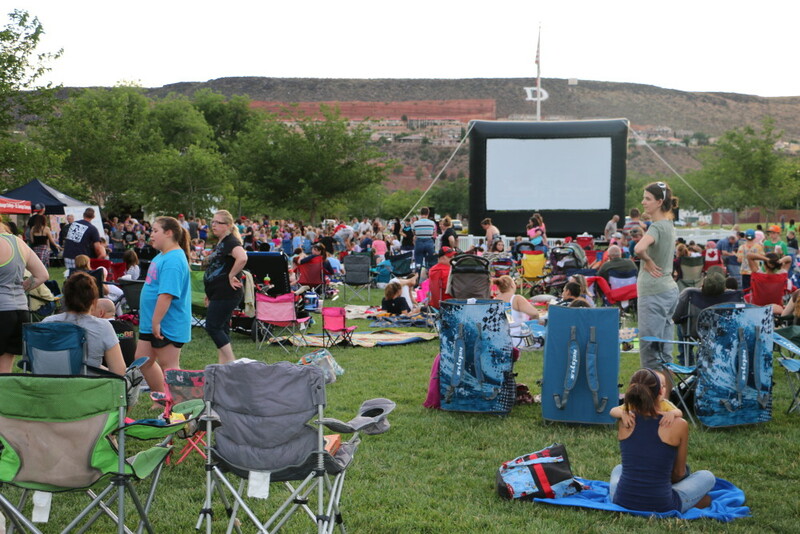 The Friday night FREE family movie series plays on a giant outdoor movie screen and is hosted by Write It Up! in partnership with the City of St. George. The series has become known for its family friendly fun, prizes, movies and so much more. As always with the beginning of spring we begin to kick off Sunset on the Square. This year we have a lot offer with expanded activities before some of the movies – plus, more exposure, and fun! Interested in getting started? Leave your name and email below, along with what you are looking for in the message box. Or call us at 702.860.2341.